More than 120 people have died and many more are missing in Mozambiqueand neighbouring Zimbabwe after tropical cyclone Idai hit the southern African nations with flash floods and ferocious winds, Guardian reports. “I think this is the biggest natural disaster Mozambique has ever faced. Everything is destroyed. Our priority now is to save human lives,” said Mozambique’s environment Minister Celso Correia. In Zimbabwe, eastern Chimanimani district was the worst hit part of the country, where houses and bridges were washed away by flash floods. The most affected areas were not yet accessible, while high winds and dense clouds hampered military rescue helicopter flights. “So far we looking at 65 people that have lost their lives,” Joshua Sacco, lawmaker for Chimanimani said , adding that between “150 to 200 people” were missing. Two pupils at a secondary school in the area were among those killed, after a landslide sent a boulder crashing into their dormitory, the country’s civil protection agency said. Zimbabwe’s President Emmerson Mnangagwa, who cut short a visit to Abu Dhabi over the cyclone, has declared a state of disaster in the affected areas. It’s the second tragedy to hit Zimbabwe in as many months. In February, more than 40 illegal gold miners were trapped deep underground following a flash flood. “All roads are cut, the infrastructure is destroyed, practically everything is destroyed,” said Correia. 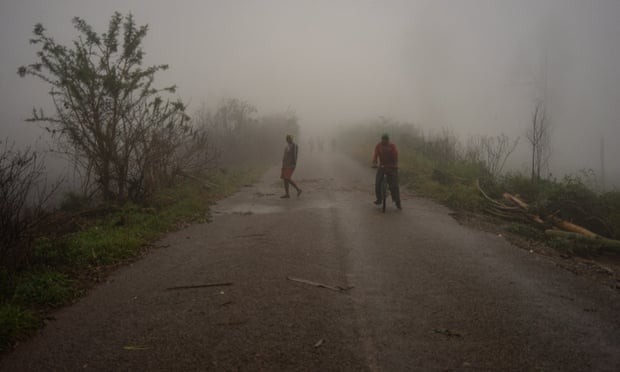 A significant part of the central region was “absolutely decimated by this cyclone, even larger than anticipated,” said Jamie LeSueur, the International Federation of Red Cross’s roving emergency operations manager for Africaafter an aerial survey of the affected areas in Mozambique.